From the 3D printing hype to factory: Are you interested in finding how Additive Manufacturing becomes an industrial technology, what designing smart structures involves and how to control new materials in the 3D printing process? Read on. 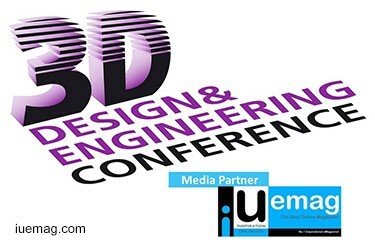 These topics and many more will be discussed on May 24, 2016, at the 3D Printing Design & Engineering Conference, at Designhuis, in Eindhoven, The Netherlands. Who will be there to speak? The following speakers will present: Ruud van den Muijzenberg, European Community Manager, Shapeways | Marc Schrijvers, Managing Consultant, Philips Industry Consulting | Dr. Kristian Arntz, Head of department Laser Materials Processing at Fraunhofer IPT / Managing Partner at ACAM Aachen Center for Additive Manufacturing GmbH | Mathijs de Schipper, Scientist Additive Manufacturing, TNO | Kaye Hope, COO, ShareMy3D | Ernst-Jan Louwers, Attorney at Law/ Founding Partner, Louwers IP|Technology Advocaten | Mark Rahusen, Founder, EDS Innovation | Thomas Bossuyt, Mechanical Engineering (Founder), Metal Technics 3D | Simon Vermeir, Design Engineer, Sirris. What will they speak about? The titles of the presentations include: Connected Adaptive Production – From design to final parts. How CAx Integration can connect Conventional and Additive Manufacturing | Design for Supply Chain and 3D Printing / Additive Manufacturing | Generative design for additive manufacturing | Cloud-Based Communication for 3D Content | IP and liability: who cares?! | Metal AM Design Rules, what every mechanical design engineer should know! | Topological optimization: findings from practice.